I was recently invited by Rob Masters, Distiller at Boulder Distillery and owner of Rob’s Mountain Gin to attend a monthly event that is held for folks in the hospitality and liquor industry in the Denver to Boulder corridor. 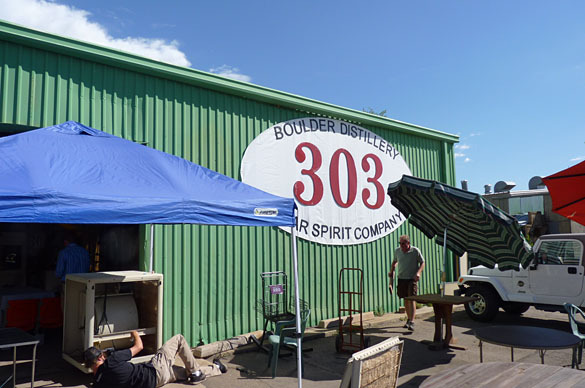 It’s a very relaxed time to learn more about Boulder Distillery; try some of their products and get a close look at their operation. They take this unique step to introduce people to their small and thriving company that operates alongside a frontage road in Boulder, Colorado. Rob is also President of the Colorado Distiller’s Guild and a great resource for someone like myself who has become more and more aware of the growth of both distilled spirits and wines in our state and loves exploring the diversity we offer. 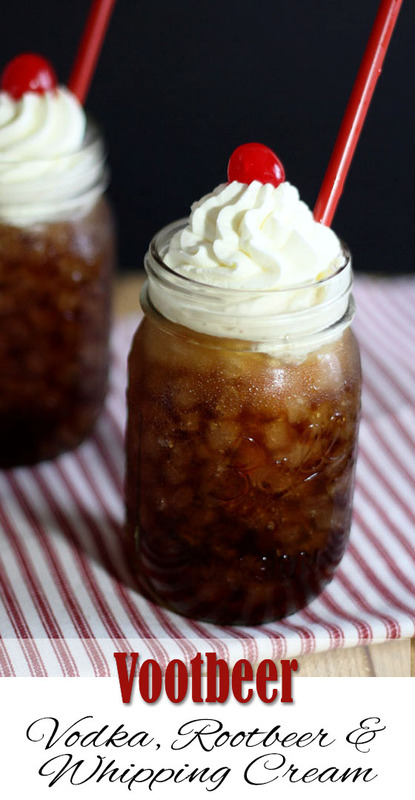 Of lasting significance was this Vootbeer – Vodka, Root Beer and Whipping Cream. 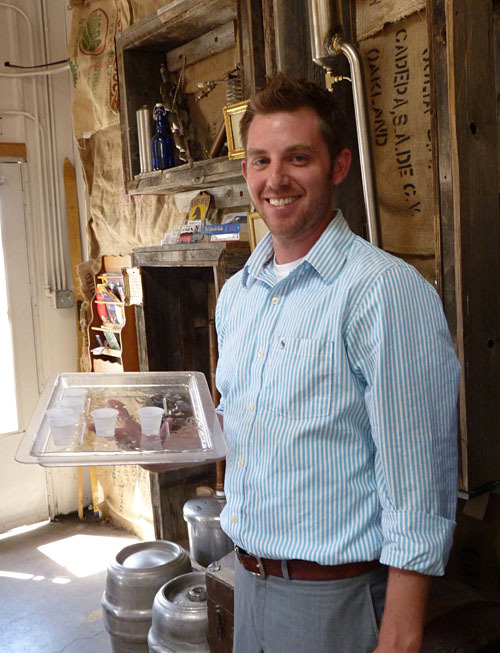 I had a great time discovering while visiting and left with a fun recipe too! Their facility could not be less pretentious. Upon arriving at what I thought was the correct address I spied a green industrial building and wondered where I had gone awry but alas…it was the right time and I was at the right place! Tucked around the back of the building in a seemingly industrial type complex, I was greeted by a swarm of people prepping the place for their guests. I was immediately struck by how warm and inviting this distillery is. The lack of pretense in their facility is more than just skin deep. 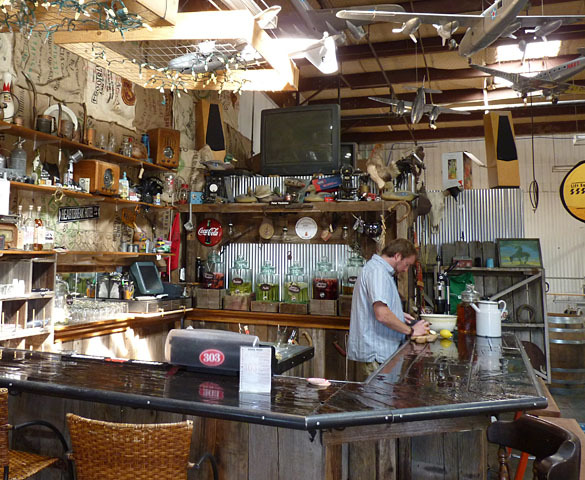 While the guts of the operation are obvious on the right upon entering the front doors, the first impression is of the large wood bar where Rob is prepping for the anticipated crowd. Without a doubt there is a very rustic ambiance; warm woods, assorted bar stools, large apothecary jars of infused vodkas and gin (yes, we sampled some of those) and an assortment of model airplanes, sparking white lights and rustic wooden doors that all complement the casual setting. The owners of the 303 brand, which includes both vodka and whiskey are Steve and Terri Viezbicke. 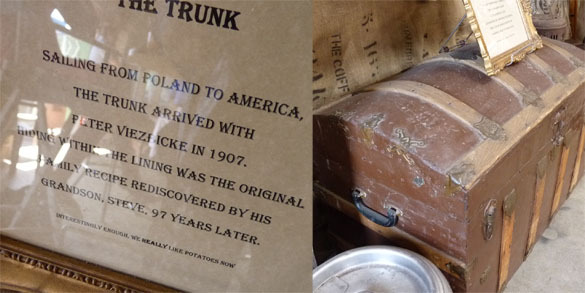 This steamer trunk traveled from Poland with Steve’s Grandfather and it contained the vodka recipe in Polish that they continue to use in their distilling today. It’s still a family affair, even if some of the employees are not blood relatives. Rob had worked previously for a different distiller; he shared with me that this wasn’t just another job; it really was like being part of the family. We started the day at 10:30am so I politely declined a cocktail upon arriving. I settled in with a glass of water but within a few minutes the combined tease of seeing others with what looked liked a terrific Bloody Mary and the aroma of the assorted garnishes being dispensed right in front of me made me soon waver. This was the perfect morning cocktail offered by the owner Steve…really it would have been impolite to refuse, right? There is such care taken with every step of this libation, including securing their water for distilling from Indian Peaks in Ward, CO down to offering imbibers their choice of heat level in the finished cocktail. I chose the safe direction of medium and it was perfect for me. Hey boss…this is a tough job but someone’s gotta do it! There is such an easy camaraderie between the owners and Rob, it’s clear that they enjoy working this operation together. Rob originally hails from Minnesota and it’s no surprise that a boy from the cold and lakes of that region found himself in the world of hockey, both in college and a pro stint with the Chicago Black Hawks. But this is now his passion and his mellow persona combined with his patience (he really was…I wanted to know details about the brewing that he has most certainly had to cite a million times over. Thanks Rob!) made for a most educational yet entertaining experience. After other guests had arrived and we were spread out from the bar to assorted tables, it was time for a tasting and to learn more about the history of this facility. They’ve only been open for 3 years yet have built a steady reputation throughout this area and not just for great products but for great times too. They do have limited open hours for folks to come and have a cocktail so it’s always good to check first. The facility is available for events too and they recently hosted a wedding on the premises. If you are in the local retail business of beverages, whether a liquor store or a restaurant or bar, I’m sure that Rob would love to hear from you and extend an invitation to come visit. We were given samples of gin, vodka and beer to taste as well as some of their infused vodka offerings. Peanut Vodka? Yes…so subtle but so good too. 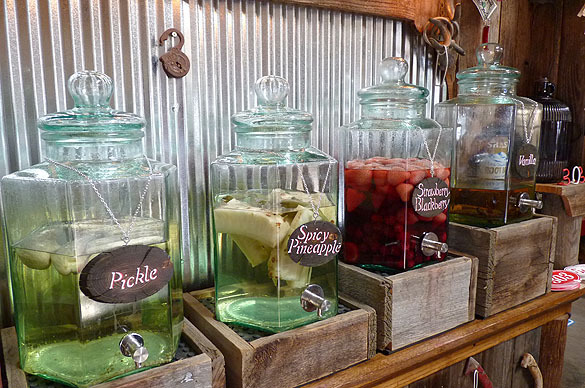 The infused products vary with Vanilla Vodka being a constant participant but you never know what you may find in place of the Peanut, Mixed Berry, Pickle or Pineapple choices ready for consumption on this particular day. What really struck me was just how clean tasting their vodka and gin both were. Such clean clear flavor but also some very potent stuff. I was cautious and very ‘sippy’ that day; it was a fun respite from the norm but I did have to drive back to Denver! 303Vodka is made with a determination that it clearly differentiates itself from other vodkas. Steve and Rob shared that vodka is typically distilled to be neutral, tasteless and odorless, not what they want to achieve with their efforts at all. We had a walk through the distillery and saw everything from the stacks of potato flour that start the process for vodka, whiskey and beer to the finishing drips of the ‘good stuff’ in glass containers sitting atop the stills. We were allowed to have a drop drip on our fingers to taste but at 95% ethanol it was a rush to get a taste to your tongue before the drop evaporated! Being a self proscribed ‘wino’ I loved that the batches of potato whiskey they produce are aged for 3-6 months in used Cabernet Sauvignon wine barrels from a friend’s winery in Napa. Colorado weather predicates the length of time in the still; the warmer the temperature the sooner a batch is ready so more is produced in the summer than in winter months. The barrels are made of French wood that is toasted but not charred resulting in a whiskey with a very smooth finish on the end. 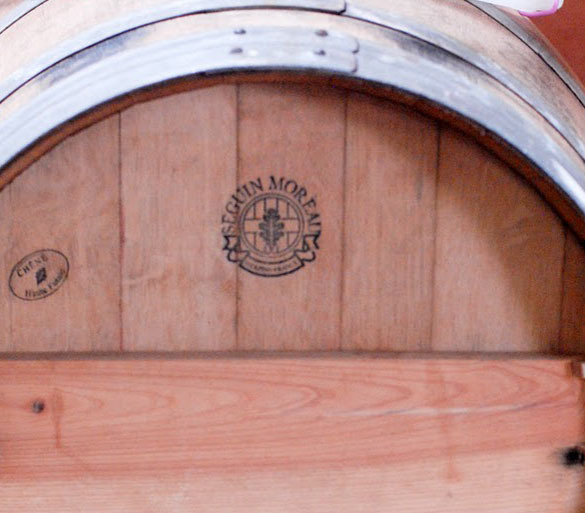 The last section of the distillery that we visited housed the works for Rob’s Mountain Gin. And where my camera’s memory card died…so I apologize for the lack of photos. A smaller operation than the vodka process but so different in other ways too. 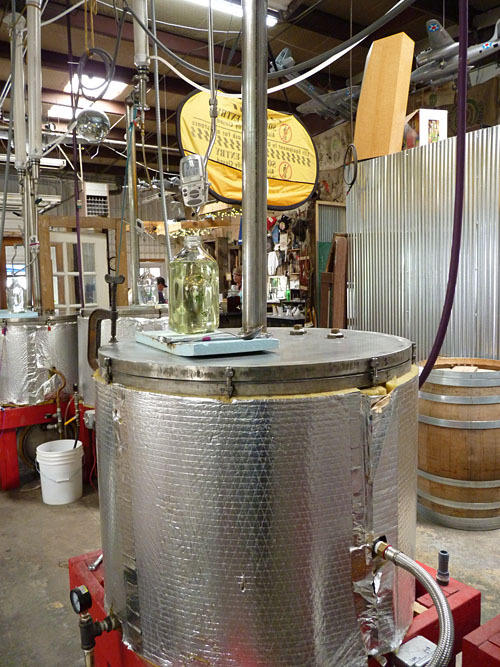 The gin distilling is a two part process. First it is distilled using a combination of Colorado and California juniper berries and the second time around the distilling includes a mixture of 7 different botanicals. I won’t give away the company secrets but suffice to say it was VERY interesting to see what constituted that blend! All in all, a most enjoyable visit and a trip I hope to make again. 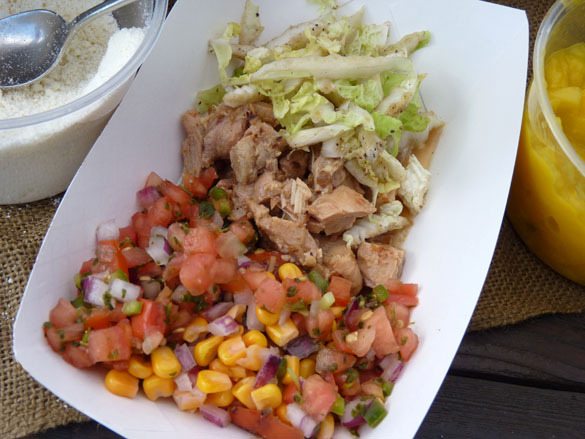 For our visit on this day, lunch was from Laau’s Taco shop at 1335 Broadway in Boulder. Good, fresh and perfect. And for dessert? Rob made one of their specialty drinks, the Vootbeer with Vodka, Rootbeer and Whipping Cream. For this girl who recalls many a summer moment spent at A&W I really enjoyed this adult beverage. It’s simple, cool and, well…sometimes isn’t that enough? This article kicks off something I’ve wanted to get started for some time. I love making cocktails and appetizers and thought it would be fun to start creating a space where we could all find something if we’re hosting a party or even if just having something special for ourselves. So today is the beginning of Friday Cocktails. I’ll do a drink or appetizer each Friday and hope you will find this a fun resource too! Reminiscent of a root beer float; this is most definitely an adult beverage! Love love love this! You have been Tweeted and Pinned!! Would love to have your every friday reciepe emailed to me. I cant wait to make this vootbeer! Hope you love them; they are so easy and such a fun cocktail. I very much loved to visit…….Great Place! I like Vodka! Now I know what I am serving at my next BBQ! My husband and I have friends who will love this! Will definitely make Vootbeer with vanilla vodka. Thank you for sharing this recipe! 🙂 Do you have a special recipe for vanilla-infused vodka? Skye, I missed your comment somehow…apologize for that. I’ve not infused vodka with vanilla but I’m thinking it’s super easy. A quick web search would probably find a recipe. I’m thinking some vanilla beans aged a bit in a bottle of vodka would do it…it’s pretty much how you make your own vanilla too! would REALLY like to have the recipe for the bloody mary drink!! I didn’t get that recipe Traci, but if I get a chance I’ll ask; still it was pretty standard fare from what I remember just using their vodka product. I think I’d love this! Gorgeous picture! Looked like a great place to visit, loved those apothecary jars! It’s very simple, totally thirst quenching and fun. 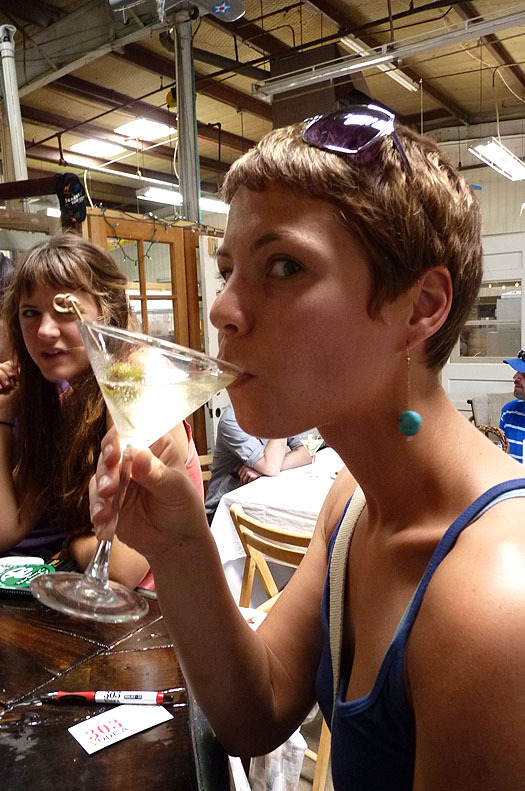 It was a fun place too…and we got to sample those vodkas; they did different flavors all the time. Looks so good. I live in Okinawa,Japan but I love to visit someday. I got this from my friend! I do a cocktail every Friday Nancy; hope you can enjoy some of them! This looks amazing! Too bad I live overseas (came here via Pinterest), the place looks warm and cozy, and YUM! Thanks for visiting Hannah! It is a thoroughly comfortable and fun place and I learned so much. I do a cocktail every Friday; be sure to check my blog for the Happy Hour Friday cocktail section for more great drinks. Oh, vodka and root beer sound so wonderful after this stressful week. I am going to have to buy some root beer tomorrow and try it! Thanks! It’s a very refreshing cocktail and one I have to say is fun to serve…I mean A&W never looked so good! 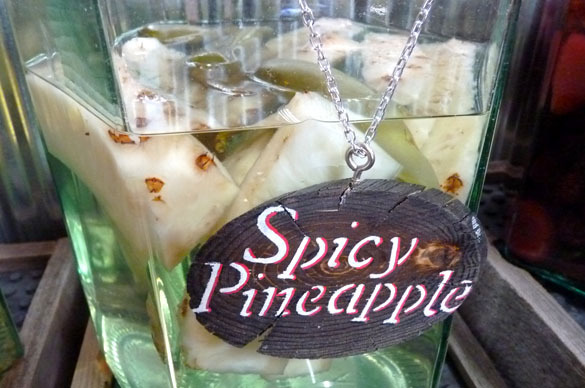 Try it with Vanilla Vodka…think vanilla ice cream! MMMMM-MM! Yummy! The vootbeer recipe looks scrumptious. Can’t wait to try. Thank you! Wow, when I saw that root beer, I instantly could smell it in my head! It looks so delicious, I have to make it very soon! Great entry! It’s an easy and refreshing cocktail Brandon and actually goes down VERY easy. Maybe too easy; I have to remember it is not a thirst quencher like a glass of root beer or I’m in trouble! Oh my goodness! this place looks awesome! and that vootbeer….give me one!! It was such fun Aggie…and the Vootbeer? Well, make sure you’re not TOO thirsty…they can go down very, very easily! It sounds as though you captured the feel of this distillery perfectly, Barb. Obviously their success comes from great products and laidback, but hard-working owners. You pretty much nailed it Dara. All of those things and just such a friendly warmth..made for a great, fun and educational day. I created this drink in bartending school! We had to create our own as part of the final exam. I recommend using vanilla vodka instead of regular- Absolute and Stoli tend to work best. I might be making some vanilla vodka even as I reply Rob. 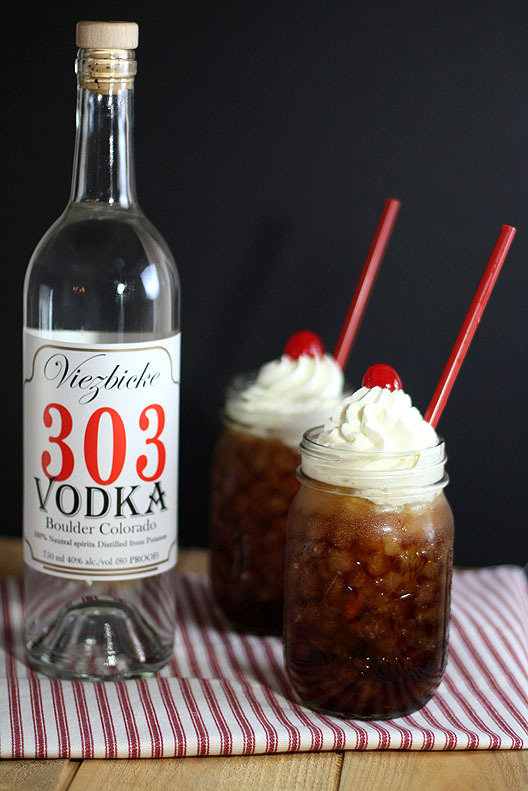 I also might be using that bottle of 303 Vodka to make said Vanilla Vodka. OK, no ‘might’ about it. It’s in the works! Sounds interesting can’t wait to try!!! And so easy too; a very fun cocktail. 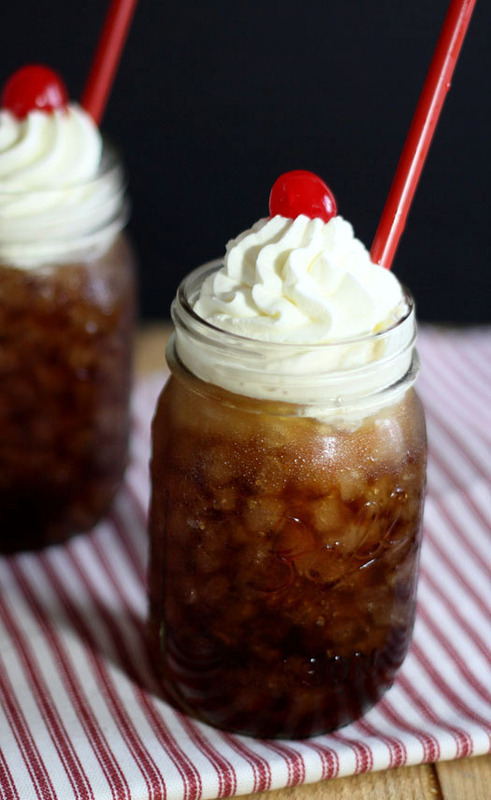 I am a lover of Root Beer, vodka root beer is a bit new for me, but hey, it’s got whipped cream and a cherry on top, I’m so there!!! It is all of those things Ramona! Though cooler weather is upon us…this is perfect for an end of summer fling! Love your “Vootbeer!” What a scrumptious looking drink and what a great experience! 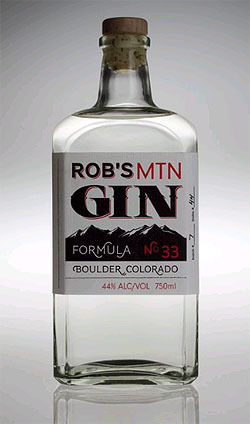 Makes me want to go visit the 303 Distillery. Well Kate…just get that baby born first and then we’ll plan a distillery trip! Oh yes… I know I would immensely enjoy this! It is quite the refreshing drink Brian…one that I had to be careful I didn’t just down like a regular root beer! Oh Barb! I loved this post, I felt like I was right there with you, what a fun day!! The vootbeer photos are out of this world, they look so very yummy, what a brilliant idea. The story of the distillery was really touching, loved it. Thank you Wendy! I hope to do more posts like this. I might still be gimping a bit but I’m getting around again and that is all good! Thank you so much! 19 months after suffering a serious leg injury I’m finally able to do a bit more than rush a plate to a table and take a quick shot. It’s much more interesting for me too when I can put some thought into it and do something fun. Much appreciated. Oh Barb! What a wonderful idea to have Happy Hour Friday right here on your site and what a wonderful way to introduce it! The distillery visit was informative and honestly, very charming. I love the down-homey ambiance of the 303 Distillery and the story of the brewing recipe found after 90 years in the lining of the suitcase is amazing. This Vootbeer cocktail is one I’m going to try…with a cherry on top. Cheers! It was a very fun experience Paula. Now hoping to gain some momentum for the HHF each week! So many great drinks and appetizers I never seem to be able to find after the fact! look like a fun place! Very fun Diane…laid back but also so knowledgeable; was a fun and educational experience. I know right? All in the name of research; only reason I make these difficult trips you know! What a fabulous idea! Those little Vootbeers are adorable…and I think the maraschino cherry should be mandatory 😉 Happy Friday indeed! OK Mairi I’m with you…it was crying out for those cherries. I sort of wanted to try a sour cherry from this jar I bought but chose to not open a big jar for two of them. Maybe next time. This post is making me very thirsty.. very. I love this idea and your Vootbeer is brilliant! Is that Sonic ice I spy? Not only Sonic ice smarty pants but Sonic straws too. I was going to buy some and when I saw the color I asked for a couple more. Um, I have enough for SEVERAL cocktails now. I’m not kidding…not fixing the icemaker because I just love their ice more. And the Vootbeer cocktail looks dangerous…in a good way, of course! I know! Can’t say I would mind having my own batches brewing right in my kitchen; albeit maybe just a bit smaller. The Vootbeer goes down pretty easy…definitely something you could use to quench your thirst and find yourself in trouble! Wow, I had no idea Colorado had such a thriving wine and spirits industry!! You are definitely becoming my “go to gal” for food and wine in Colorado!!! I love reading stories like this about people doing what they love and the attention to detail they bring to the endeavor! WOO HOO!! Happy Hour Friday is a great idea!! Will link up one of my favorite appetizer recipes! We’ve got several winemakers…some here in Denver and more on the western slope (sort of like Denver and the Front Range but on the western side of the Rockies). I know one very small concern that does their brewing from home here in Denver but they still get their grapes from the western slope; it’s got the right conditions for the best grape harvests. Great article and photos Barb! I will echo what a great opportunity it was to learn more about a great distillery in our own backyard. You’ve certainly done the Vootbeer proud with your darling photos! A great cocktail that should be enjoyed by all! In the spirit of your post and as a last chance before true fall sets in (and there are no more cucumber to be found fresh locally) I’ll inlcude Rob’s Farmer’s Market Gin and Tonic for my link. Very fun post idea. Thanks Toni, it was a fun experience…both the visit and coming up with a look for their drink that I thought fit their ambiance. It was so refreshing…and the vodka helps to cut it being overly sweet. It’s surely a new favorite. What an amazing place! I wish I could visit it. I love the retro look of your drink! Fabulous. Thanks Rosa…I thought I had to make the drink match the atmosphere of their space, right?